What North Korea wants from the U.S. The U.S. wants North Korea to halt its nuclear program, but North Korea has said it won't do it. Instead, the regime wants the United States to leave the region — but the United States won't abandon its allies in the region anytime soon. So where's the room for compromise? What North Korea wants: "Getting a reduction in joint exercises between the U.S. and South Korea" is something the North Koreans might agree to, according to Suzanne DiMaggio, who's directing an unofficial dialogue between the United States and the North Koreans. North Korea views those drills as rehearsal for invasion and highly threatening. The next exercises are in the spring of 2018. Kim's regime may also be interested in a reduction in sanctions. What the United States could ask for: Although denuclearization demands may fall on deaf ears, reaching some kind of interim freeze agreement on North Korea's testing is something DiMaggio says said the United States could reasonably ask for. That would be verifiable, prevent escalation and proliferation, and leave denuclearization on the table. DiMaggio told Axios her sense is that the North Koreans "recognize at some point they'll have to return to the negotiating table to head off this crisis. Timing: Before negotiating, "I think they will first want to demonstrate their capacity to have an ICBM…that could reach the United States," DiMaggio said. So expect more tests. So until then, DiMaggio recommends the United States tread lightly and use the appropriate, private channels to talk to North Korea. One warning for Trump from DiMaggio, who intimately knows what the North Koreans are thinking: "Contradictory messaging by the president and other members of the administration must stop...This can lead to misinterpretation and miscalculation by the North Koreans...we can see [inadvertent war] happening." 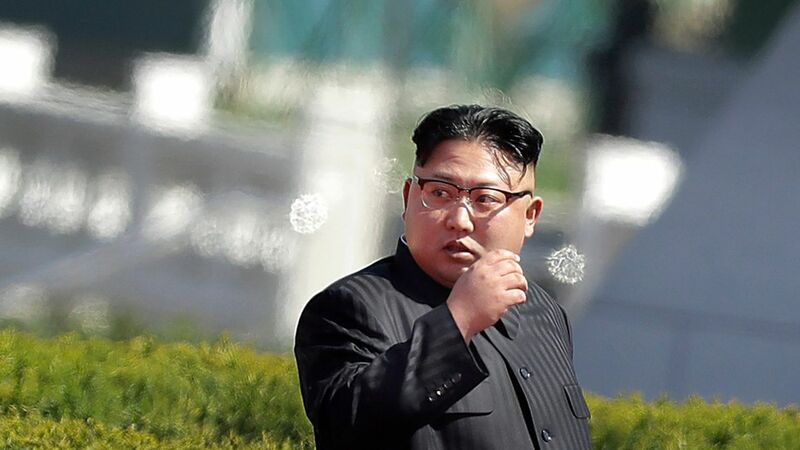 Trump's been "very unwise," as the rhetoric about destroying North Korea he used this week at the UN "reinforces Kim Jong-un's belief that having the capability to strike keeps the U.S. from striking" because Washington just keeps amping up the rhetoric and not acting.